Zack wants to take Leslie on a ski trip, however, she won’t go alone with just Zack. Zack asks Slater to go along, so he must find a date to bring along with them. 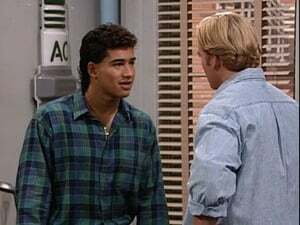 Slater meets a girl who challenges him to become more interested in his heritage. His involvement with a group that wants the university to institute a Chicano studies program forces him to cancel the ski trip.